Dr. Godwin is pleased to offer The Pellevé System to his patients for the treatment of mild to moderate facial wrinkles. The Pellevé system works by delivering constant, gradual radiofrequency energy deep below the skin’s surface. This causes heat to build up in the deep layer of skin where it meets with fat. 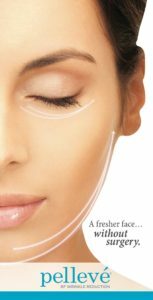 This heat modifies the collagen bundles deep with the skin causing contraction and stimulation of new collagen growth over time. Resulting in tighter, younger, less wrinkled looking skin! 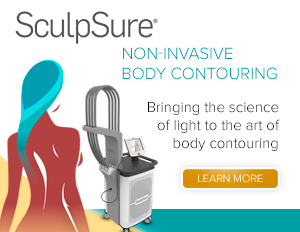 This system is unlike other skin tightening systems in that it does not require anesthesia. A Pellevé treatment is virtually painless, in fact patients comment to Dr. Godwin that it feels like a warm massage and is very relaxing. The treatment takes less than one hour and you can go back to work, wear makeup and resume your normal routine right away. No one will know you have had anything done, except that they will notice you appear more radiant, refreshed and youthful. 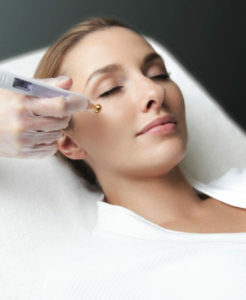 The wrinkle reduction effects of the Pellevé treatment may continue to improve as your skin produces new collagen. In a FDA clinical study, after one treatment, 9 out of 10 patients experienced a significant benefit. More impressively, at 6 months, almost 90% of those patients still showed continued improvement. 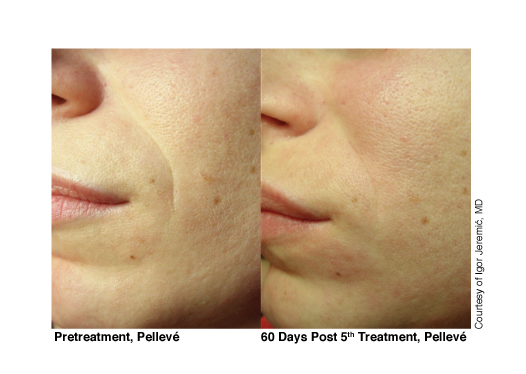 There is no recovery time needed after the Pellevé treatment. Your skin may be slightly pink with mild swelling for a few hours after treatment. You will see temporary improvement in your skin for the first 24-48 hours following treatment. However, the process of regenerating collagen take time, therefore full results will continue to improve over the next several months. For many patients, a series of three treatment spaced about one month apart may be recommended for optimal results. Additional treatments are recommended for long-term maintenance. Dr. Godwin utilizes the combination of Pellevé treatments, a medical grade skin care regimen, and dermal fillers or botox for the ultimate in facial rejuvenation! 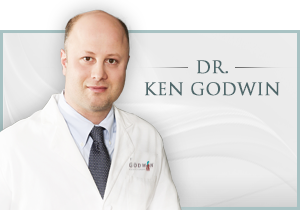 Call Bucks County renowned plastic surgeon Dr. Kenneth Godwin to schedule your Pellevé treatment and skin-analysis today. We look forward to hearing from you 267-399-9930.